What do a Quaker, a dog, and a bunch of matches have in common? They are part of the next three books on my review list. 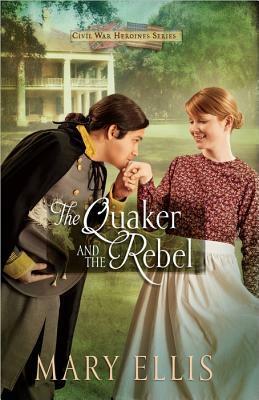 It took me a few chapters to get into the story, but once I connected with the characters, I enjoyed reading about the escapades of Emily and Alexander as they each did their part to help in the Civil War. I’m not usually a fan of war era books, no matter the war, but this one was interesting. I don’t know much about historical accuracy, but Ms. Ellis did an excellent job of keeping me enthralled in the goings on in the Bennington and Hunt households as they dealt with their heritage and the war the best they could. Neill isn’t sure who hired him to repair Clara’s roof–he only knows Clara desperately needs his help. Can he convince this stubborn widow to let down her guard and take another chance on love? Hoping to earn an honest wage on his way to the land rush, Clayton ends up on Grace’s doorstep, lured by a classified ad. He may have signed on for more than he expected though–and he may have found the one woman who can keep him from moving on. Andrew can’t fathom how refined Lucy ended up as the caretaker to his dotty aunt, and somehow her arrival has prompted even more bizarre occurrences around the ranch. When they join forces to unearth the truth, will the attraction between Andrew and Lucy develop into more? When the tables are turned and a tenderhearted meddler becomes the beneficiary of a matchmaking scheme, her world is turned upside down. As her entire life changes, will she finally be able to tell the banker’s son how much she cares for him? Four of my favorite authors in one book. A Cowboy Unmatched by Karen Witemeyer – the last Archer brother. I am so sad to see the end of this serious, but it’s finishing with a great story. My only complaint, which is not really a complaint at all – Neill didn’t get a full-length novel to call his own. LOL I loved his interaction with Clara and his protective instinct. 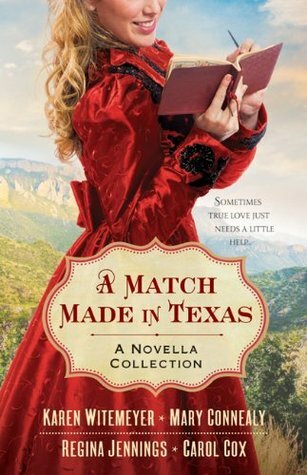 An Unforeseen Match by Regina Jennings – I loved the play on words in the title. The story was heartwarming as Grace struggles with her reality and the need to rely on others. I, too, would struggle as I hate asking others for help. No Match for Love by Carol Cox – Ghosts and ghouls and things that go bump in the night…oh, sorry, it’s not a ghost story, more like a comedy. I love the way Ms. Cox added a touch of suspense and intrigue to this romance. 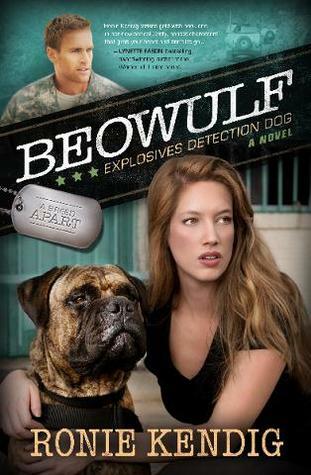 Former Navy handler Timbrel Hogan has more attitude than her Explosives Detection Dog, Beowulf, but she’s a tough woman who gets the job done. Green Beret Tony “Candyman” VanAllen likes a challenge and convincing the hard-hitting handler they belong together might just get him killed. When tragedy strikes and Tony’s career is jeopardized, Timbrel must re-evaluate her priorities—and fast! A terrorist plots to unleash a weapon of mass destruction on American soil. Can Timbrel and Beowulf track the chemicals in time? Will Tony surrender everything to save the woman nobody believes in? I say this a lot when referring to Ms. Kendig’s books, but it’s worth repeating — this was great. The main problem I had with Beowulf was that it ended. Not how it ended, but that it did. I wanted to keep reading, and reading, and reading. It’s destined to be one of the better books released in 2014, well, until Raptor 6 releases because her books keep getting better and better. I hope you enjoy these books as much as I did.